Way back in April, the Easter Bunny brought me the new Martha Stewart Pies and Tarts book. I have her cookie and cupcake book and was super excited to have this one. Her recipes from these books are great and easy to follow and I have really made it one of my go-to recipe books. Since we were in a packing craze, baking was not in the cards. Now that we are all settled, it is time to break out the mixer again and break in the oven!! I have been wanting to do some baking and figured I would start with the tart book. It had tons of super easy and yum sounding recipes. I was gonna go for a fruit tart, but the picture on the chess page was too good to pass up. 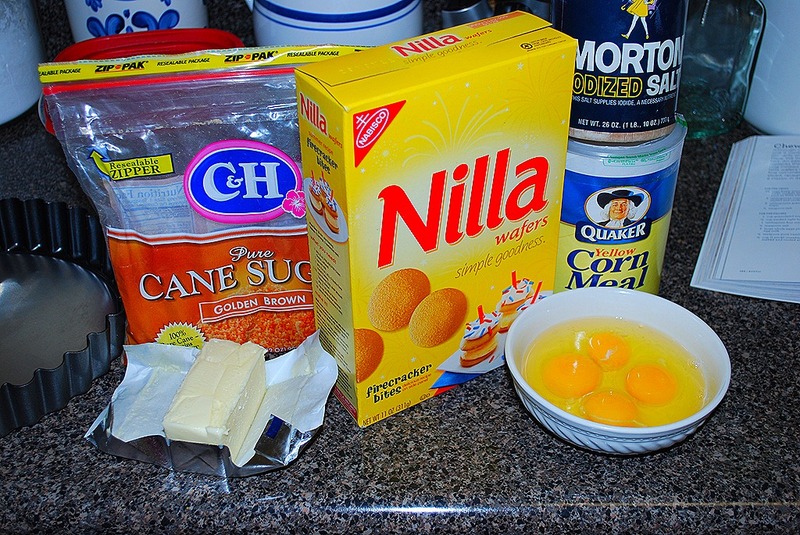 And then I read the ingredients—nilla wafers, butter and sugar! Um, yes please!! How could I pass this one up. Even hubs was excited about this. 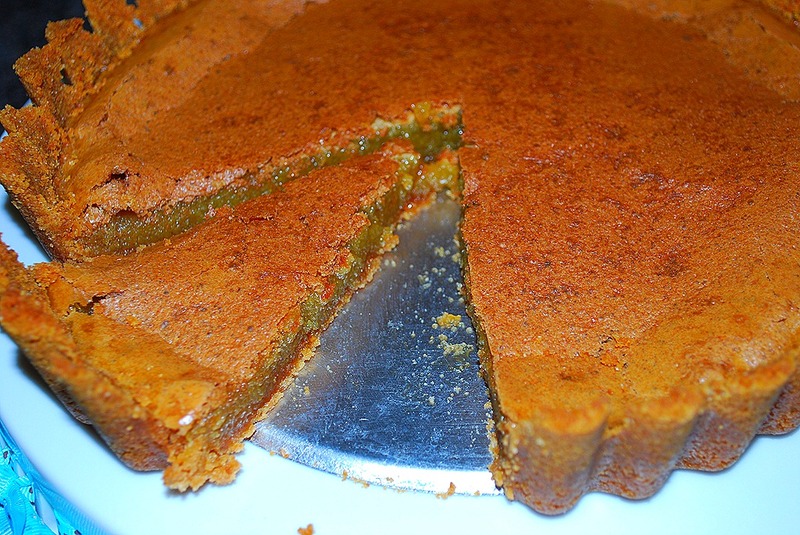 The crust was mixed up in about a minute and pressed into the tart pan. I would imagine you could use a spring form pan for this. I was even thinking about making cupcake size tarts with papers for the next time I use this. The crust went into the fridge to set up and then was popped in the oven to bake for about fifteen minutes. Beyond easy. The next part was the filing. Even easier than the crust and you won’t have to break out the mixer—all you need is a whisk. 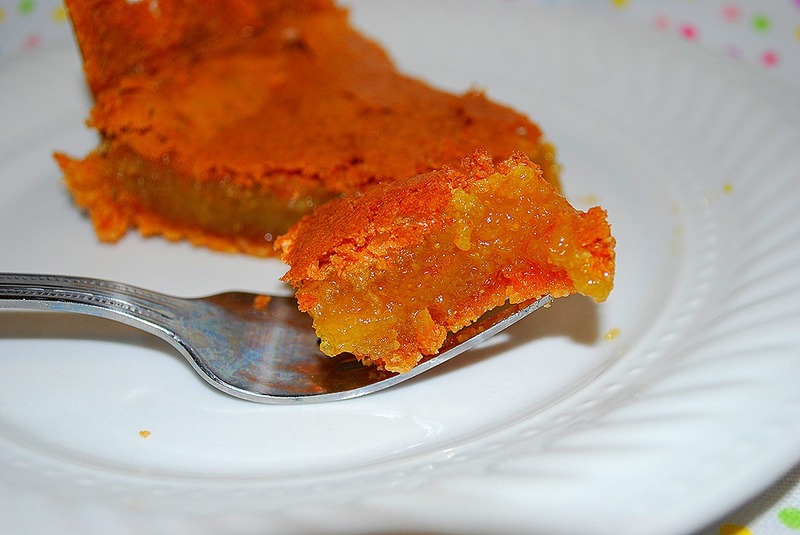 The filling is just sugar, eggs, melted butter and a touch of cornmeal. 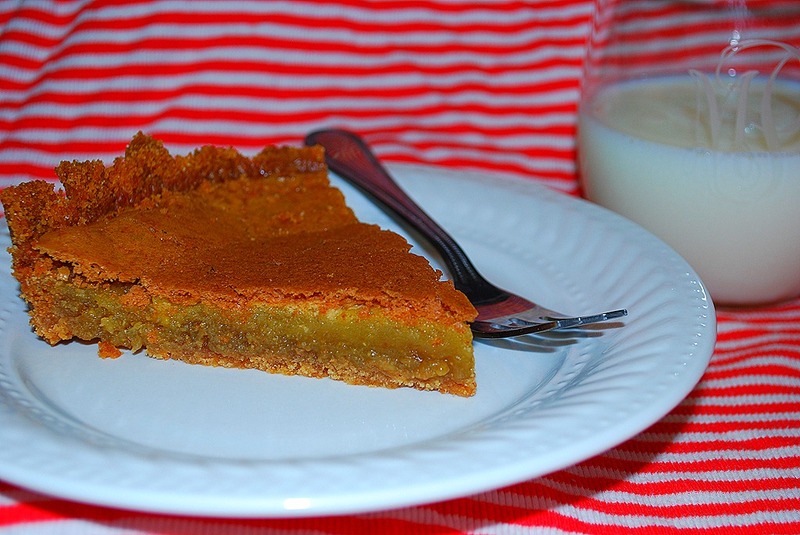 The cornmeal in this gives it a nice crunchy crust on the top of the tart. When it is all mixed, it goes in the oven for about 35 minutes. The picture in the book shows it a tad runny. I baked mine a little longer so it would set up more. I didn’t want it to be a runny mess. Let it cool on a rack and then it goes in the fridge for a couple of hours until it is completely cool. I could hardly wait that two hours and took it out in a little less time. It was totally worth the wait! When the tart came out of the oven, it was beautifully puffed and golden. As it cooled, the crust settled and cracked, but not in a bad way. The cracks made it look even better. 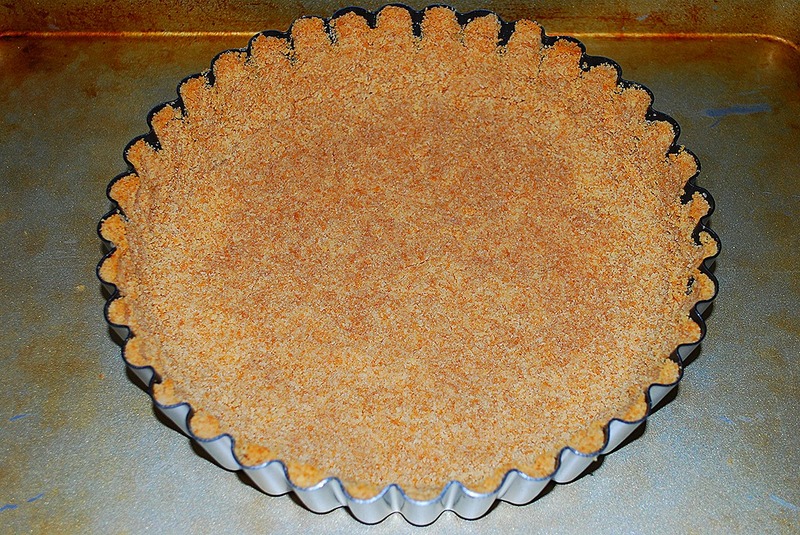 The nilla wafer crust was amazing—it was buttery and crunchy and just delish. And the filling—there are no words. It was so smooth and creamy and oh so sweet. 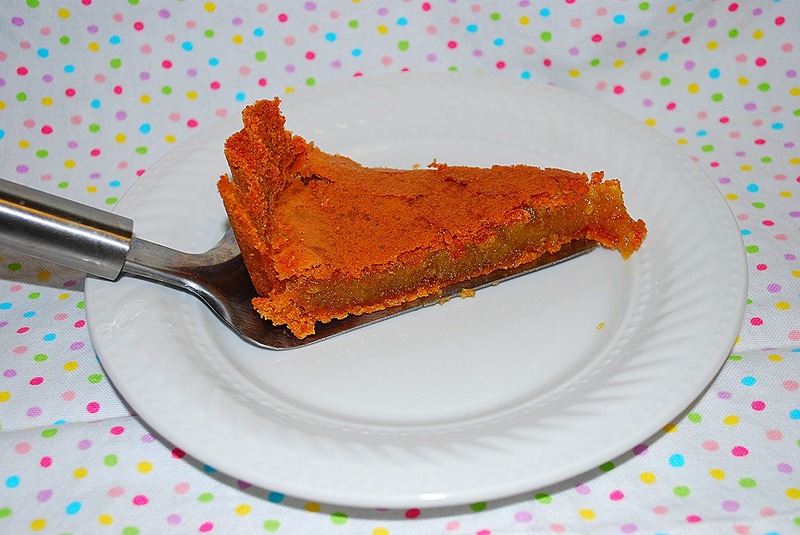 This was a delicious and super easy tart to make. It made a perfect dessert and even better breakfast with a cold glass of milk! Enjoy!! Preheat oven to 350 degrees. 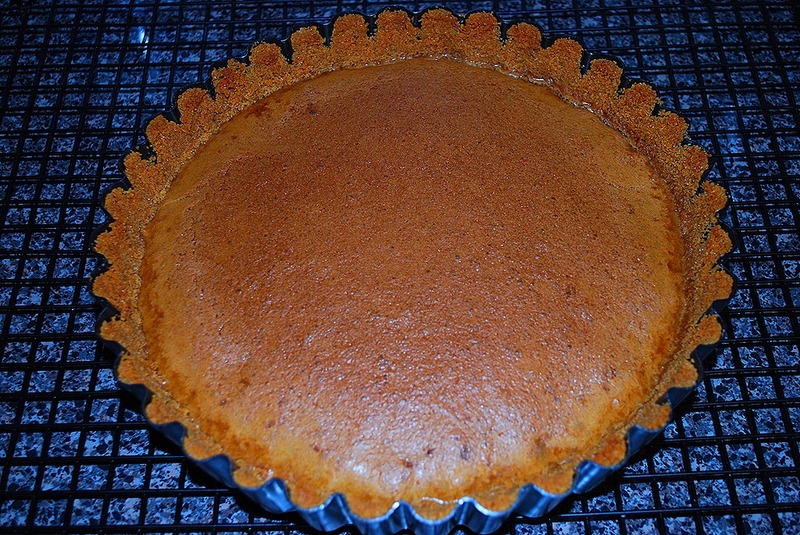 Make the tart shell: Coat a 9-inch fluted tart pan with a removable bottom with cooking spray. 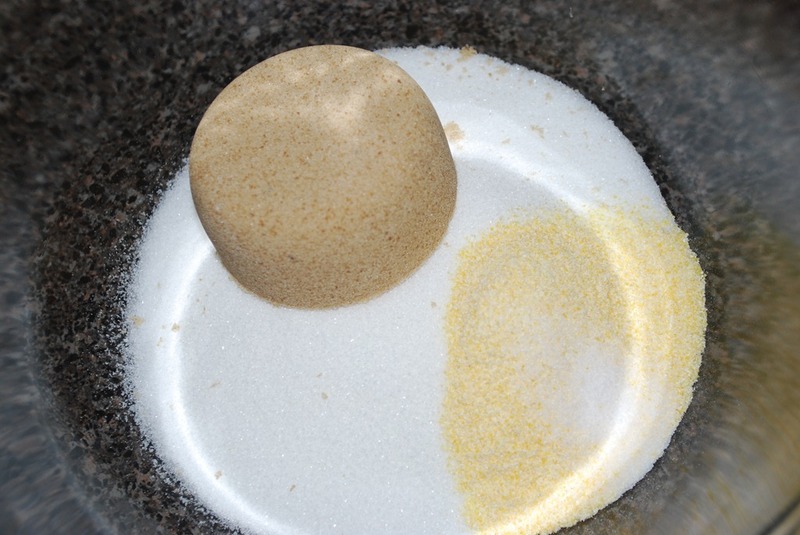 Mix together wafers, butter, granulated sugar, and salt. Press mixture into bottom and up sides of pan. Refrigerate until set, about 15 minutes. 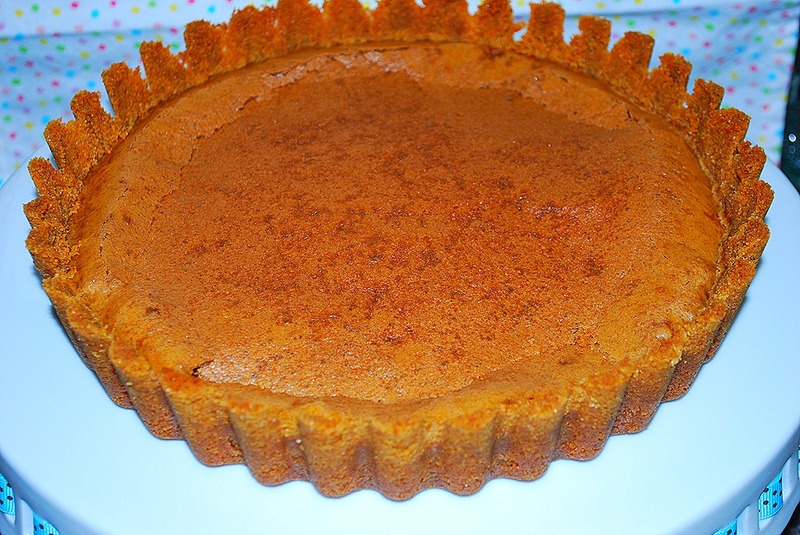 Transfer pan to a rimmed baking sheet, and bake until tart shell is golden, about 12 minutes. Let cool slightly. Reduce oven to 325 degrees. 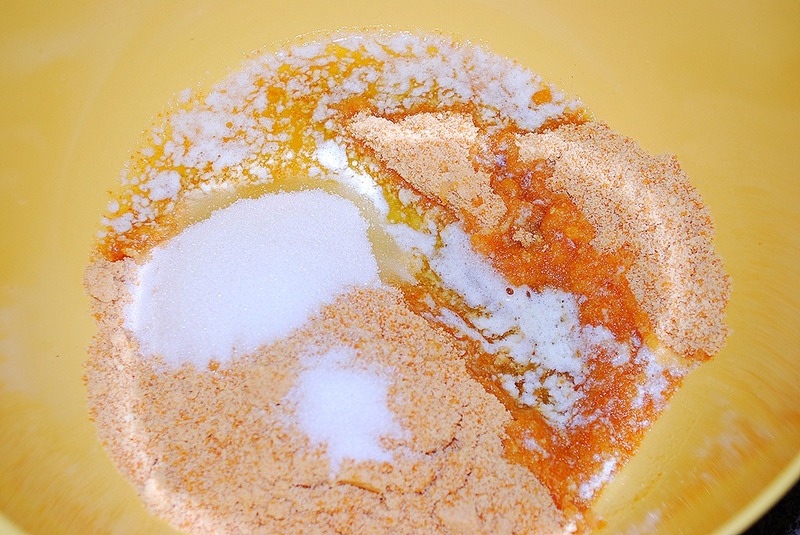 Make the filling: Mix together sugars, cornmeal, and salt, breaking up clumps. 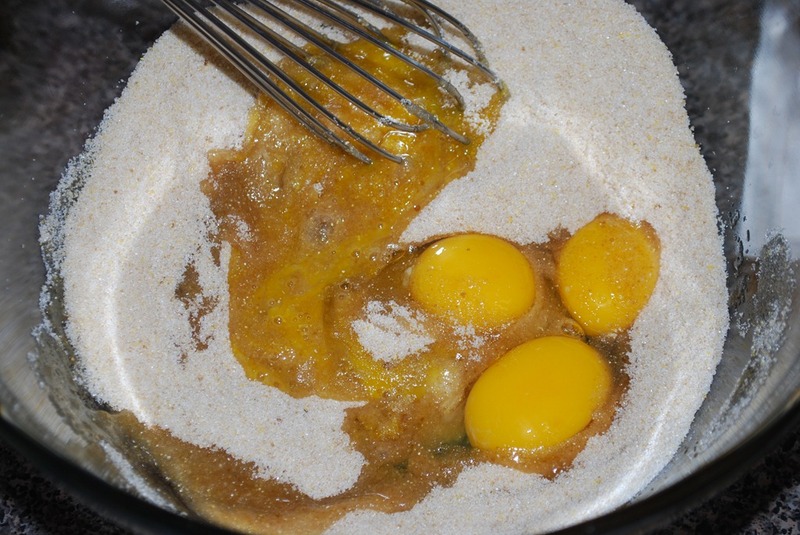 Whisk in eggs, yolk, and vanilla. 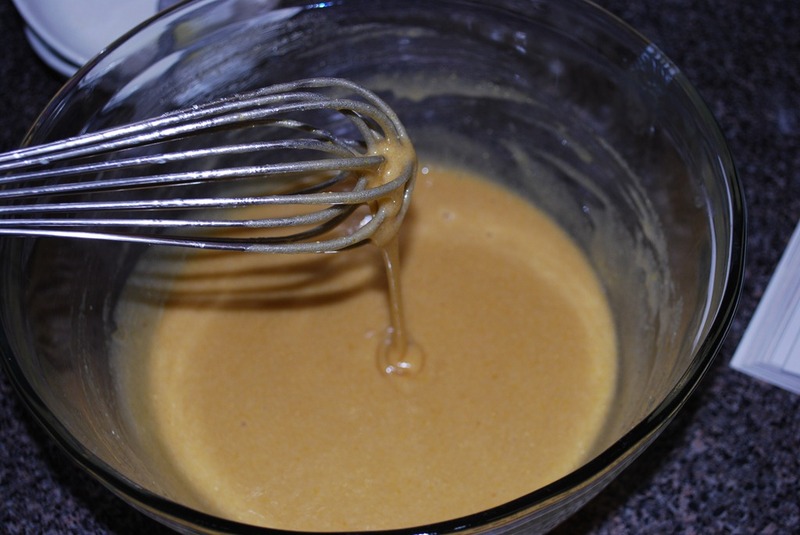 Whisk in butter. 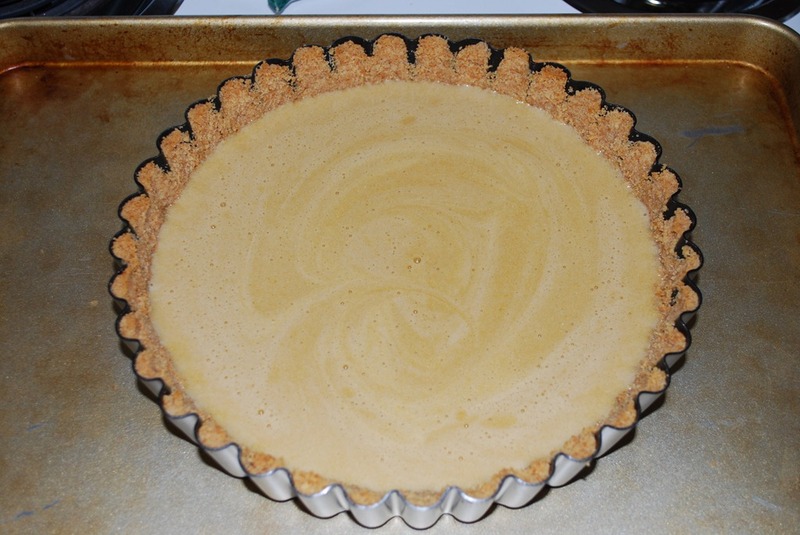 Pour filling into tart shell. Bake until top is dark golden brown and edge is set but center is still a bit wobbly, 35 to 40 minutes. Transfer pan to a wire rack, and let cool for 15 minutes. Refrigerate until cooled, at least 2 hours or overnight.